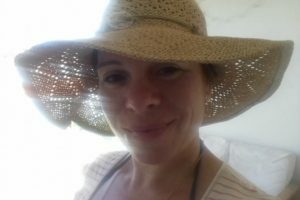 0.1 Moving to Gran Canaria or already relocated here? 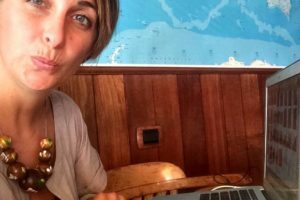 As well as offering the most comprehensive tourist information about the island, we provide expert expat advice. 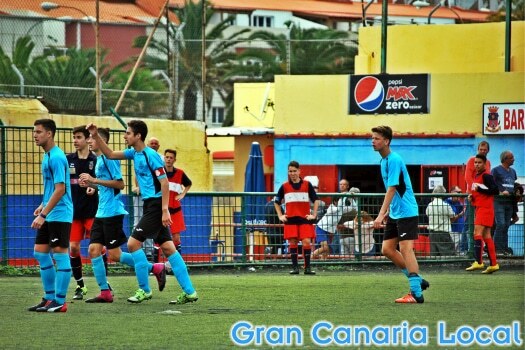 Why not check out our insiders’ guide to Gran Canaria football? 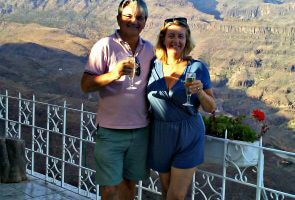 Moving to Gran Canaria or already relocated here? As well as offering the most comprehensive tourist information about the island, we provide expert expat advice. 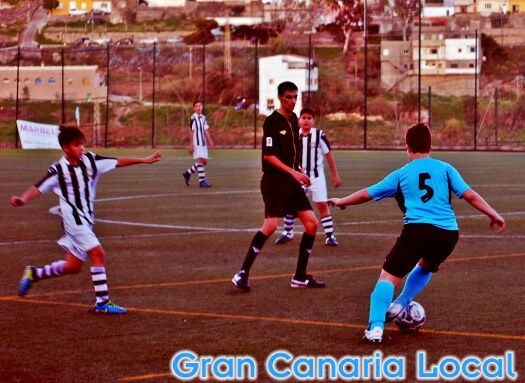 Why not check out our insiders’ guide to Gran Canaria football? Whether you’re looking for a football club for yourself or your children on the island, you’ll find plenty of options. Our review of Gran Canaria football profiles everything from infants’ football all the way up to veterans. In a handy four-part guide. 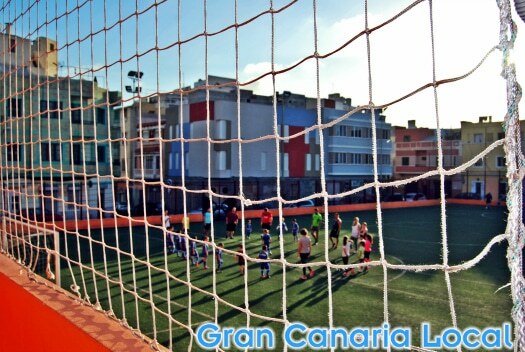 Football’s easily the most popular sport on Gran Canaria, both in terms of playing and watching. Given its status, it’s taken very seriously indeed. And kids start to play young, with the first category made up of boys and girls aged from four to five. These clubs are known as Miniprebenjamínes. Our Tom currently plays for Real Club Victoria Miniprebenjamín A. The emphasis at this stage is on development more than competition with the referees not including the score in their report, only the result as in home win, draw, or away win. 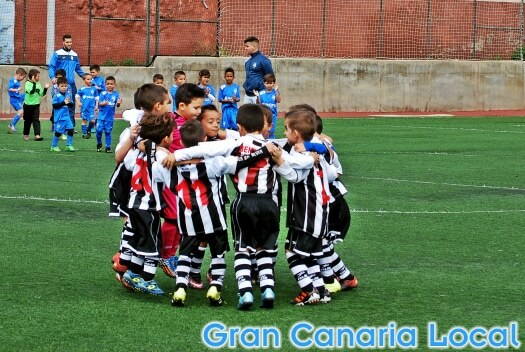 Along with the next level up, Prebenjamín (for children aged six to seven), these equipos escuelas belong to the Asociacíon de Clubes de Fútbol y Fútbol Sala de Canarias. Children play games of 50 minutes (25 minutes per half) on eight-a-side artificial pitches. Teams revolve subs at this level. Real Club Victoria play their home games at these levels at La Isleta’s Porto Pi. However they train for two hours two nights a week at Jardín de Infancia, aka La Piscina. This training ground gets its nickname from its former existence as a lido. As your children progress up the levels, ability becomes as an important consideration as enthusiasm. The equipos federados which begin with the benjamínes (kids aged eight to nine) are governed by the Federación Interinsular de Fútbol de Las Palmas. Located next to the capital’s Pueblo Canario, this is a great place to drop by if you want advice on your nearest club. From the Benjamín level onwards, where training increases to three weekly 90-minute sessions, there’s very much a league system organized regionally with the top division known as Preferente. This is a kind of Champions League with participants made up of title winners. Boys and girls then move up to Alevin (children aged 10-11). It’s the next level, Infantil (boys and girls from 12-13), which brings the next major change; as games are now played on adult 11-a-side pitches and subs are no longer rolling. Our Alex has reached this level, training and playing his home games at Lomo Los Frailes’ La Mayordomia. 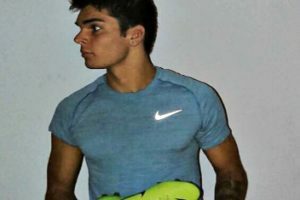 For Club Deportivo Daniel Carnevali. Founder Daniel Carnevali coaches our Dani who plays Cadete (boys only from 14-15 training four nights a week), with girls moving on to Fútbol Femenino. We were aware that Carnevali was an Argentinian goalkeeper who also played for UD Las Palmas. However, we gasped when we discovered the club mourning the passing of Johan Cruyff with a photo of the Dutch master rounding Dani’s coach. The last junior level is Juvenil (boys 16-18), where matches last the regulation 90 minutes after increasing in duration in each of the post-infant categories. Friends of the GCL family live in Arinaga and their Rueben plays for the nearby C.D. Doramas. 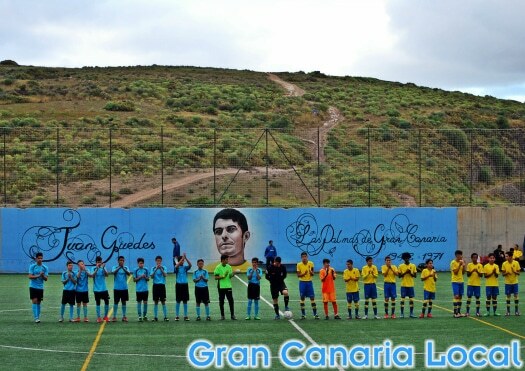 In Juvenil, the highest league is not Preferente but División de Honor which pits Gran Canaria’s finest against teams from other Canary Islands such as Lanzarote and Tenerife. C.D. Doramas field a side at the semi-pro, inter-island Regional level. As do larger Las Palmas de Gran Canaria sides like C.F. Unión Viera, known for having more teams at each category than any other club (A all the way down to E), and A.D. Huracan, boasting such alumni as Real Madrid’s Jesé. The considerably smaller C.D. Vegueta Árbol Bonito, who Alex, Dani, and Tom all played for last season, was once home to UD Las Palmas’ Jonathan Viera and Sevilla’s Vitolo. The furthest you can go regionally is the Liga Tercera División Canaria. Top that, win a play-off, and then you can take your place in 2B. Get promoted from there and you’ll enter 2A, better known as Liga 1-2-3. The next league up is the highest, the Primera. Its current sponsors mean it’s known today as Liga Santander. This is where you find UD Las Palmas who returned to the top flight in 2015 for the first time in 13 years, following their nailbiting play-off win against Real Zaragoza. With the exception of the Spanish mainland’s Athletic Bilbao, no other Primera Liga side fields as many locals as UD Las Palmas. These include the returning Juan Carlos Valerón who won La Liga with Galicia’s Deportivo La Coruña and maybe one day, David Silva. 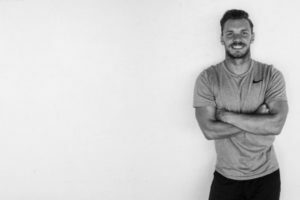 Both began playing at their mutual hometown club, C.D. Arguineguín whose club logo features a fish kicking a football. UD Las Palmas also field sides from Miniprebenjamín up. It’s extremely rare for a child to continue all the way through to the first team from aged four, however. Trials are held each summer to find new recruits with many existing players culled to make way. Fútbol Sala is indoor football. This five-a-side game is a popular pastime for adults across the island. It’s also played in schools but many use their concrete playgrounds rather than their gyms as pitches, which compels goalkeepers to wear their socks all the way up and over their shorts for extra protection. Over here, you can be considered a veteran (veterano) as young as 28, although there’s also an over-35 league with teams allowed to field one player aged between 30 and 34. Whilst the pace may be slower, the commitment is still there with affiliated teams hungry to finish top dog. 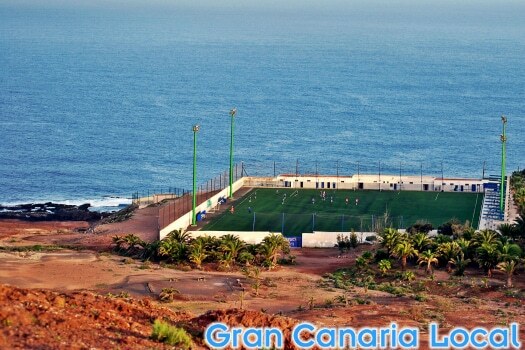 On Gran Canaria, you see, football’s for life. 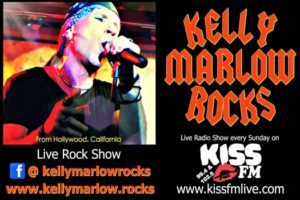 Thanks for the article and the site. Visiting Gran Canaria next week and I’ve got two football mad boys who would like to know where the best 3G/4G pitch facilities are in Las Palmas, which is where we’ll be based. Don’t mind paying for hire either 🙂 Thanks! Hello I’m a single mum with a 7 turning 8 year old looking to relocate to Gran Canaria and my son has a very high talent level in football which I would wish him to pursue when we are there and would very much appreciate any advice given as want the best for my son. Is there any walking football?